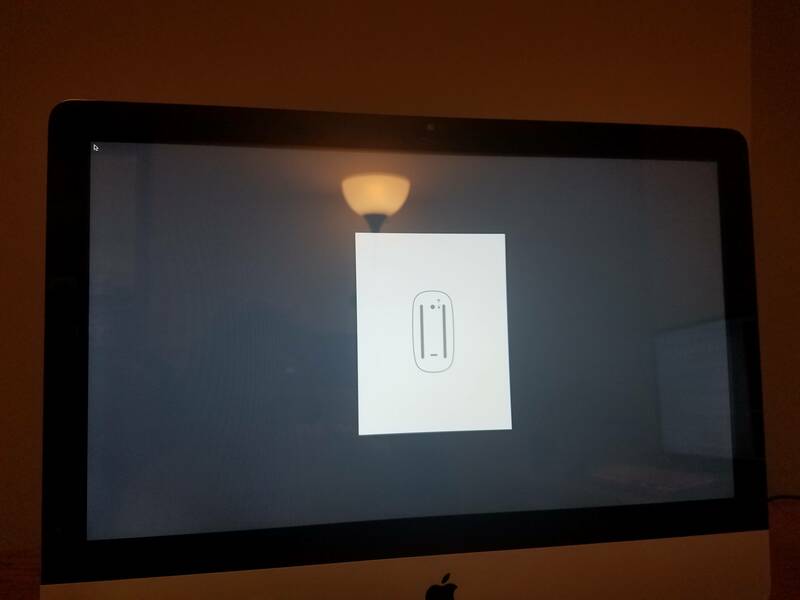 I am booting an imac from a USB drive containing OS X 10.13. I get an infinite slideshow alternating between the following two images, which don't seem to coherently convey anything. I am able to skip the slideshow, but I am having other problems that I think might be more resolvable if I knew what the slideshow was supposed to mean. Any help would be appreciated. I'm pretty sure these images are intended to remind you that the computer is trying to connect to a couple of Bluetooth devices, the second of which appears to show the underside of a Magic Mouse. You should be able to remedy this by performing the NVram reset upon restarting, except that when the screen lights at the last startup cycle, you'll have to immediately press and hold "Option" to select your USB drive to boot from again. You may also have to initiate Safe Boot Mode before the NVram reset. These procedures may take a while, especially when booting from a USB drive. Not the answer you're looking for? 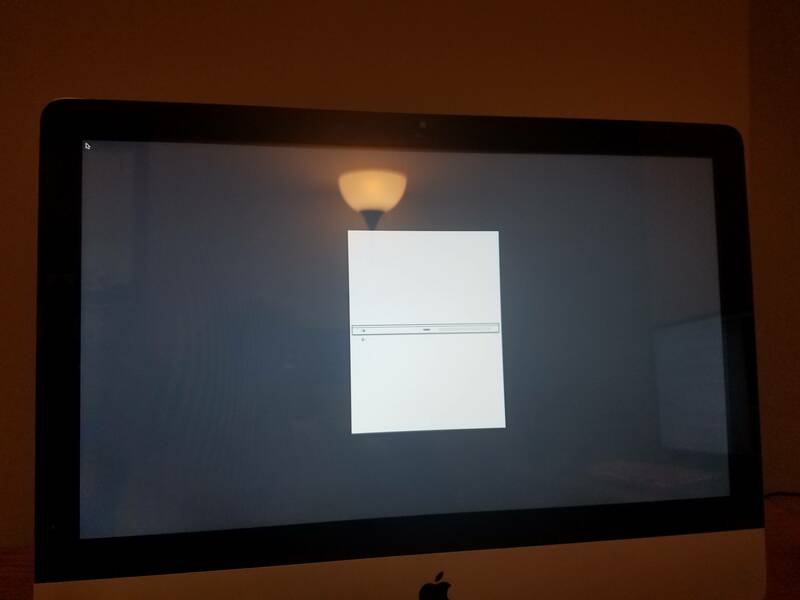 Browse other questions tagged macos boot troubleshooting bootable-disk .